The Marvel Cinematic Universe celebrated it’s ten year anniversary in 2018. With more than twenty movies out and three more on their way, dozens of superheroes have made the leap from the comic pages to the big screen. But there’s still a vast catalog of characters we haven’t seen yet. Wolverine is possibly the most recognizable X-Men, thanks in large part to Hugh Jackman’s portrayal in the X-Men movie franchise. His Wolverine was gruff, but lovable, and he served as one of the connecting links between the older movies and the more recent films. 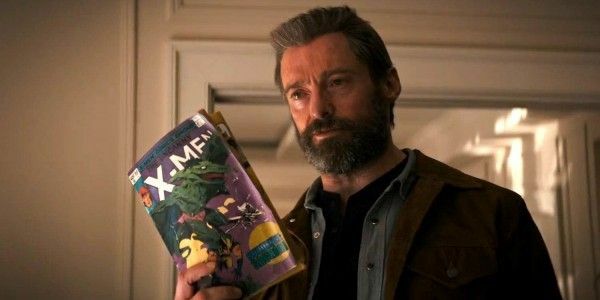 While it was hard to say goodby to Jackman’s take on Wolverine, this opens the door to a fresh newcomer to take over the MCU and give the character a new spin. The Avengers are going to be in need of some new blood soon and he’d be a perfect fit. Reed Richards is one of the earliest Marvel superheroes and along with the other members of the Fantastic Four has appeared in multiple films and animated features. We’ve seen Mister Fantastic as both a full fledged scientist and a young upstart. But we have yet to see any film showcase Reeds’ true potential. With Robert Downey Jr.’s contract running out after Avengers: Endgame and the inevitable exist of Tony Stark, the Avengers are set to losing their bankroll. Since superheroing is not exactly a low cost gig, they need someone else to step up and provide the funds and the tech necessary. A role which Reed is more than capable of filling. Jean Grey, also known as Phoenix, is easily one of the most popular members of the X-Men. 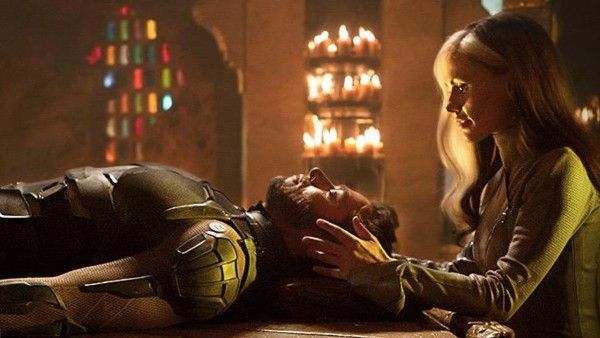 She had a prominent part in the X-Men: The Animated Series and had crucial roles in both the original trilogy of X-Men movies and the more recent X-Men: Apocalypse and the upcoming Dark Phoenix. 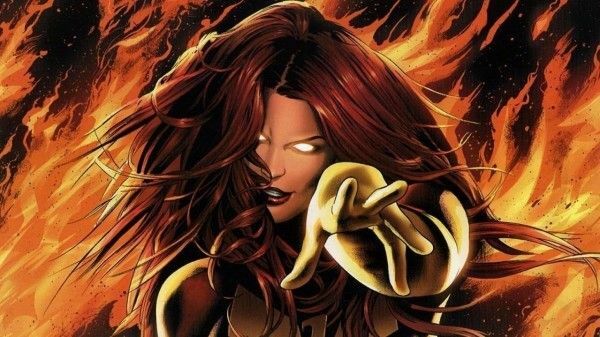 While similar to Scarlet Witch, Jean Grey’s telepathic and telekinetic powers are beyond anything that currently exists in the MCU. She’d not only make an excellent mentor for Wanda, helping her to navigate her powers and develop them even further, but she’d be a great asset to the Avengers team. Blade’s popularity in Marvel comics had peaked in the 70s and by the 90s he’d been all but forgotten by everyone but his most ardent fans. 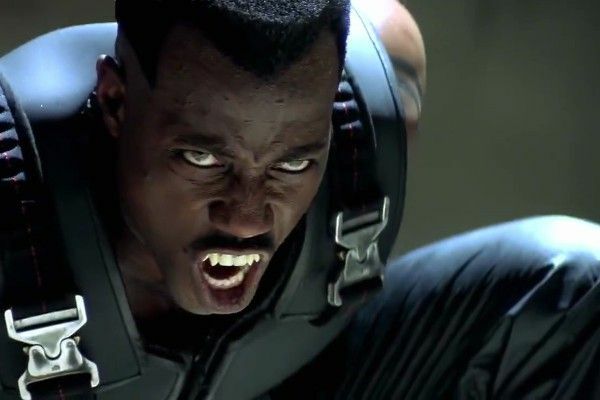 Yet, when it was announced that Wesley Snipes was stepping into the character’s half-vampire, half-human shoes interest int he character surged enough to earn two follow-up movies. In the comics, Blade was recruited by Nick Fury to join a new team of Avengers that’s been formed to fight against the villains that threaten Earth. With Fury still popping up in movies here and there, it’s easy to see how he could recruit the vampire hunter to fight for the side of good. Miles Morales first won fans when he took over the role of Spider-Man on the page in 2011, but he won even more fans in 2018 with the release of Into the Spider-Verse. This incredible movie pulled in various Spider characters from across the multi-verse, but it still exists separately from the MCU. Miles’ first hint in the MCU came in 2017’s Spider-Man: Homecoming, and it seems like it’s only a matter of time before we see him as a fully realized live-action character. While we may not see him officially join the MCU Tom Holland is ready to hang up the suit, we don’t doubt that it will be worth the wait. 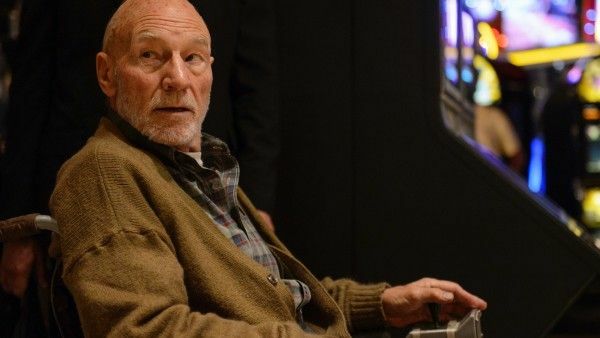 Professor Charles Xavier is the man responsible for bringing the X-Men together and the glue that keeps them bonded, both on-screen and in the comics. He’s appeared in various Marvel animated series, not to mention almost every X-Men movie that’s been released. With the fate of the Avengers up in the air and quite a few contracts due to expire, it leaves an opening for a new team to step in and assist with saving the world. And who would the X-Men be without Professor X to guide them? Thanks to Ryan Reynolds, Deadpool has become a household name over the last three years. With two movies, a viral social media presence, and an extremely dedicated actor, Wade Wilson’s sassy, fourth-wall breaking character has captivated audiences. In the comics, Deadpool enjoys antagonizing Spider-Man, the Avengers, and, of course, the X-Men. 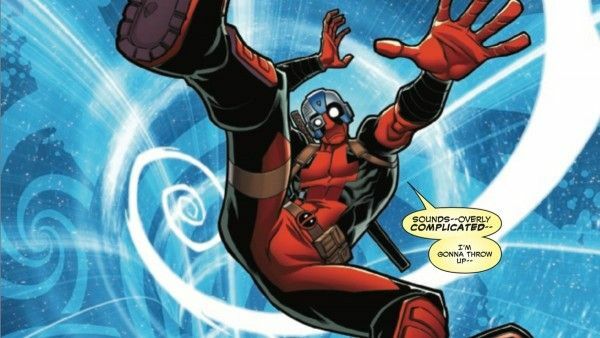 Bringing Deadpool into the MCU could be tricky, as his brand of humor tends to be more R-rated, but with the right writers, he’d be a perfect foil to the goody-two-shoes superheroes we already have. While Anna Paquin did a wonderful job with Rogue, her character was criminally underused in the original X-Men trilogy. Her portrayal of the character was too young to really dive into a lot of the complexities and it ended up not working as well as they’d have liked on screen. However, with Carol Danvers showing up, it would be fun to see Rogue finally gain some of her more cosmic powers. 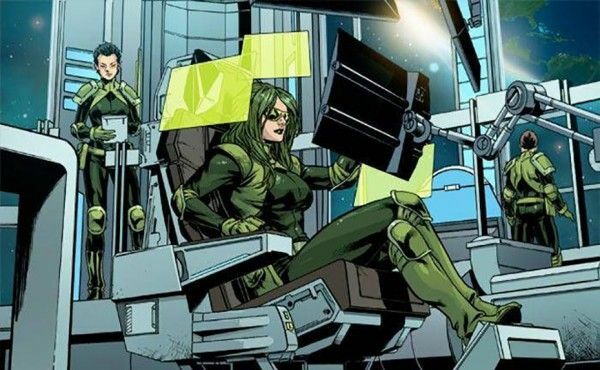 And if Gambit joins the MCU, Rogue will be right there at his side. These two superhero lovebirds have a vast amount of shared history and it would be easy to bring them into the universe together. 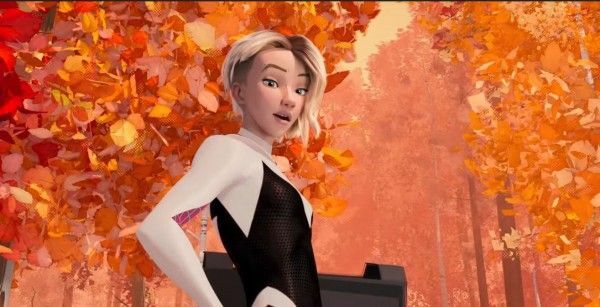 Like Miles, Gwen Stacy, and her alter-ego Spider-Gwen, made her big screen debut late last year in Into the Spider-Verse. In a flip from the current reality, she’s the one who was bitten by the radioactive spider, and Peter tragically lost his life. With the MCU Spider-Man is currently besotted with MJ, the appearance of Gwen Stacy could throw things into a tizzy. In the comics Gwen was Peter’s first love, but the MCU has been known to play fast and loose with comic events, it would be more interesting for her to show up as a friend and ally. An extremely powerful Omega-Level mutant, Storm possesses the ability to control, manipulate, and modify the weather as needed. She’s been a particularly prominent member of the X-men in various forms of media from her first on screen appearance in X-Men: The Animated Series to her most recent appearance in X-Men: Apocalypse. In the comics, Storm had an arc that saw her married to T’Challa and becoming Queen of Wakanda. While the MCU version of T’Challa seems to be captivated by his childhood love Nakia, Storm could very easily show up for the first time in a Black Panther movie. Ben Grimm’s The Thing is best known for his rocky appearance and his cry of “It’s clobberin’ time!” And while both of these elements were on full display in all three Fantastic Four movies, there’s still room for more. The earlier movies tried to capture the magic of the Fantastic Four on the big screen, yet fell short of hitting the mark. 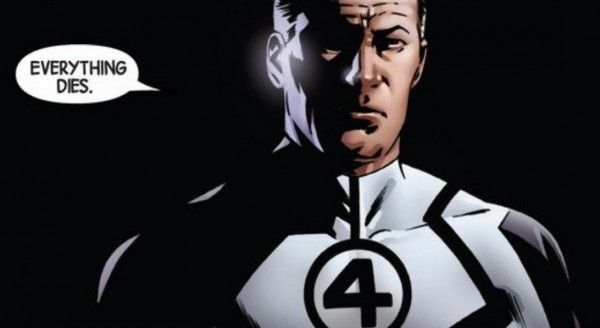 Bringing a fully formed Fantastic Four into the MCU means they won’t have to waste time with an origin story or a lot of world building setup. The Thing is a perfect fit to fill any holes that will be left by any departing Avengers. 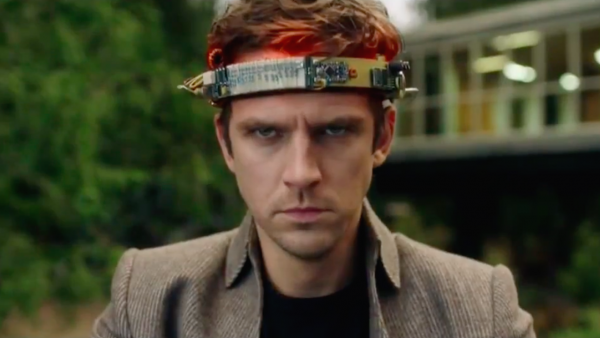 David Haller, or Legion, is best known as the son of Professor Charles Xavier and he made his small screen debut in Legion back in 2017. While the show is linked to the existing X-men movie franchise, it’s still separate from the Marvel Cinematic Universe. Legion’s powers are closely tied to an intense trauma that caused his personality to fracture into pieces. Each of his resulting alternate personas took control one of his many superpowers. This interesting twist on his personality would make him an interesting character to pull into a post-Infinity War world. If Professor X is the glue that holds the X-Men together, then Scott Summers is their ultimate leader. Yet the original trilogy didn’t get manage to get Cyclops characterization correct. Scott is a true leader, yet in the movies he wasn’t ever able to fully step into the role of team leader as he was too busy snarking with Logan and fighting with Jean. Bringing the X-Men into the MCU would allow them to go back to the roots and revisit the original team, with Scott at the forefront. 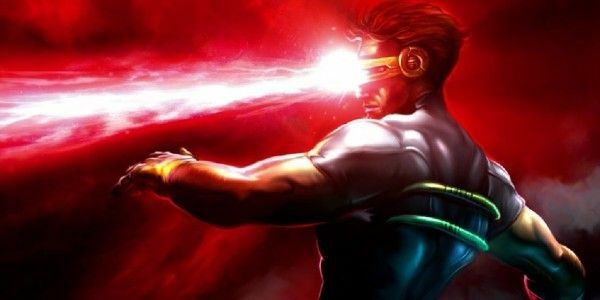 Bringing back the classic X-Men gives them the opportunity to showcase Cyclops at his finest. 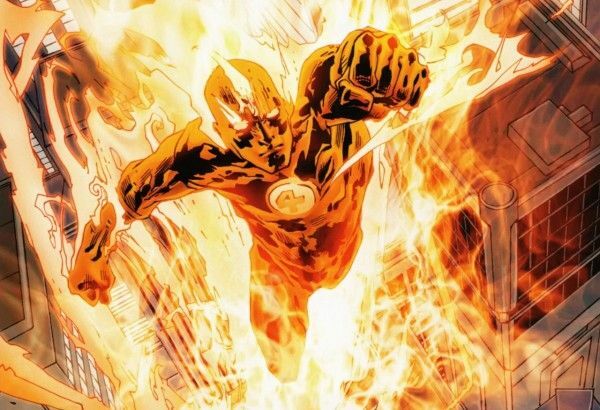 Before they joined the MCU both Chris Evans and Michael B. Jordan made their Marvel debut in the Fantastic Four movies as the cocky, fiery Johnny Storm. While both movies stayed fairly true to the characters and origins, they didn’t manage to hit the mark for audiences. Since we’ve already had two different Fantastic Four origin stories make it to the big screen, it’s more likely that we’ll see the Fantastic Four arrive in the MCU with full control over their powers. A possible reset during Avengers: Endgame would set the stage perfectly for this to take place. This smooth-talking cajun thief was a hit in the 90s cartoon, had a brief appearance in 2009’s X-Men Origins: Wolverine, and is due to have his own solo film in the X-Men cinematic universe soon. Yet, no one has quite managed to capture the charm of this mutant. 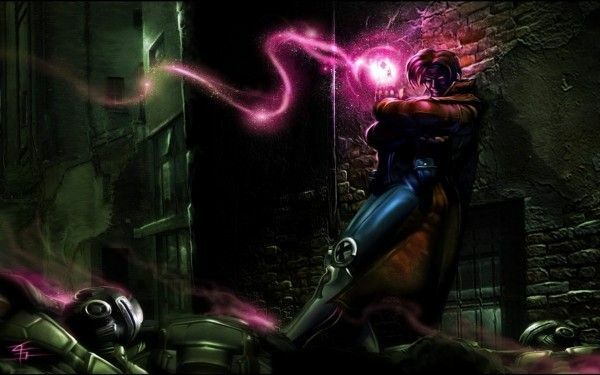 Gambit’s mutant abilities allow him to mentally create, control, and manipulate pure kinetic energy, which would bring an interesting element to the MCU. When we finally see mutants join the fight, Gambit will more than likely be at the forefront. Silver Surfer, a creature with metallic skin, has the ability to travel through space on his surfboard-like craft, searching for planets for Galactus to consume. Both in the comics and in the mediocre film Fantastic Four: Rise of the Silver Surfer, he betrays Galactus and helps save Earth. The Silver Surfer is a popular Marvel Comics character who has assisted the Fantastic Four in defeating any number of villains. With the inevitable addition of the team to the MCU, it makes sense that we’ll eventually see Silver Surfer make his way to Earth. 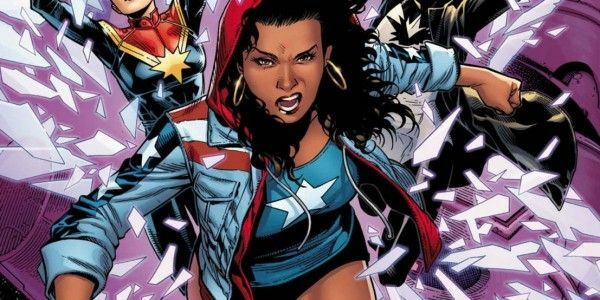 America Chavez is a popular member of the Young Avengers roster and her superhero alter-ego Miss America can currently be seen fighting baddies with her superhuman strength and speed alongside Squirrel Girl, Quake, Patriot, and others in the Marvel Rising animated series. With the speculation that Katherine Langford unnamed character in Avengers: Endgame will turn out to be Kate Bishop, we suspect that the rest of her Young Avenger teammates won’t be far behind. Her ability to travel between realities means there could be any number of ways for Miss America to found her way to the MCU. Sue Storm’s Invisible Woman is no stranger to the big screen, but like her teammates her outings thus far have been less than stellar. From her first appearance in a movie that was made solely to keep the rights to the Fantastic Four and never intended to be aired, to the most recent movie that tanked hard at the box office, it’s been a challenge to get this character just right. Howevever, it’s past time that Marvel’s first female superhero was given the right treatment. Bringing Sue’s strength and capabilities to the MCU is a no brainer. And with the old guard preparing to take their final bows, Sue and Reed could be ready to step in as the MCU’s reigning power couple. In the comics, Jennifer Walter first gained her hulk powers after an emergency blood transfusion from her cousin, Bruce Banner. 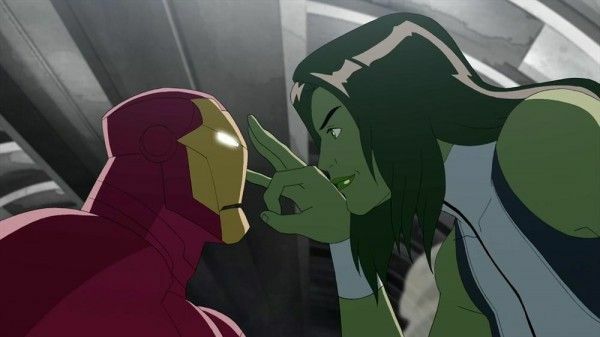 As She-Hulk she’s appeared in a number of Marvel animated features and video games in addition to the failed plans for both a tv show and a movie featuring her character. Unlike her cousin, when Jennifer turns green, she doesn’t completely lose control. She’s able to retains both her intelligence and emotional control while growing slightly larger and stronger. With her background as a lawyer she’d be an asset to the MCU in order to help control the fallout that superheroes keep causing. Not to be confused with Spider-Gwen or Mary Jane Watson, Spider-Woman is the alter-ego of Jessica Drew. She made her first comic appearance in the early 70s, which was quickly followed by a headlining Saturday morning animated series. While the show only lasted a single season, Spider-Woman had found her place at Marvel. Jessica Drew’s Spider-Woman has risen in popularity in recent years, partially due to the reveal that her best friend is none other than Carol Danvers. With Carol set to make her debut this year in Captain Marvel, it would make sense that we’ll meet her earth bestie sooner rather than later. In both the animated series The Avengers: Earth’s Mightiest Heroes and Iron Man: Armored Adventures, Abigail Brand is introduced as being in charge of S.W.O.R.D. This division is a S.H.I.E.L.D. offshoot that takes charge of defending the Earth from any extraterrestrial threats. With the MCU venturing into more intergalactic territory, it stands to reason that Earth will need to fight off more alien invasions. With that threat looming, it would be good to see Abigail and S.W.O.R.D. stepping up to help protect Earth and it’s vast population. America has Captain America, it just makes sense that Britain would have a hero to call their very own. He first made the move from page to screen with a brief cameo in the 1990s animated series X-Men: The Animated Series and later in a more substantial role in The Super Hero Squad Show. Brian Braddock, better know as Captain Britain, was given his powers by Merlyn and entrusted by him to defend Queen and Country. 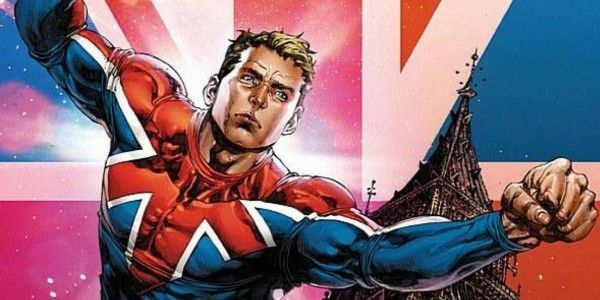 With Chris Evans’ contract up after Avengers: Endgame, there will be a hole left in the MCU that could be filled by Captain Britain. In the comics Beta Ray Bill holds the distinction of being the first character to be deemed worthy worthy enough to wield Thor’s trusty hammer, Mjolnir. Bill’s nobility and worthiness didn’t stop an initial rivalry from cropping up between the two aliens, but it soon settled into an alliance as seen in The Super Hero Squad Show. 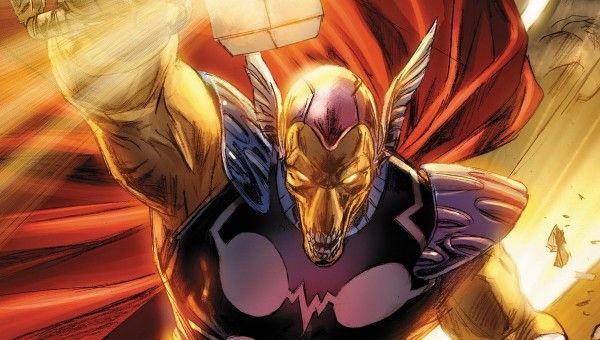 While Mjolnir was unfortunately shattered into pieces during the events of Thor: Ragnarok, that doesn’t mean we do;’t have a chance of seeing Beta Ray Bill show up in the MCU. With the heroes striking out on more cosmic adventures, he’d be a natural fit. Marc Spector first took on the identity of Moon Knight after being bested in combat and left to die outside of an archaeological dig. Talks of a live-action Moon Knight show first surfaced in 2006, but when that fell through he didn’t appear on screen until Ultimate Spider-Man vs. The Sinister 6. Moon Knight’s powers include superhuman strength, endurance, and reflexes that are impacted or enhanced by the phases of the moon due to his connection to the Egyptian moon god Khonshu. This mystical background would fit in perfectly with the Dr. Strange movies and open up new roads for the MCU to take. As much as we idolize Stan Lee and Jack Kirby, we are strong enough to admit that in their decades of world-building for Marvel, they had the occasional off-day. Maybe that’s why it took until Kirby’s third stint at the comic company to come up with the idea of Devil Dinosaur, who is a big, Clifford-red T-Rex who helps his human friend Moon-Boy (yup) in 1978’s short-lived series, Dinosaur World. Yes, we know Kirby was forced to create DD because Kirby had just come out with a new animated series for DC called Kamandi and Marvel was like “Okay, now just do that same thing but for us this time.” But don’t let the fact that this series ran for only 9 months scare you away from adding a dinosaur into the MCU. After all, Chris Pratt already proved (twice!) that he knows his way around prehistoric animals, and can you just imagine Thor busting in on a DEVIL DINOSAUR? 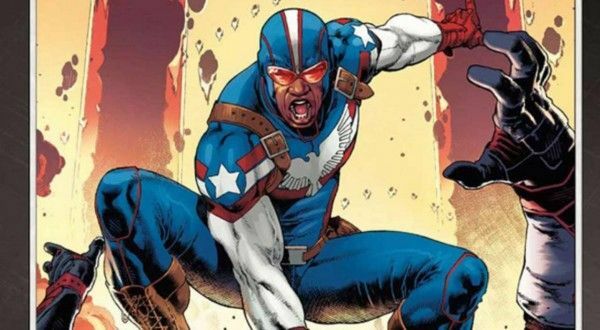 While the Jeffrey Mace version of Patriot entered the MCU in Agents of S.H.I.E.L.D, the most recent version of Patriot, Rayshaun Lucas, has only appeared in the animated feature Marvel Rising: Secret Warriors. Rayshaun idolizes Sam Wilson as the Falcon and aspires to be like his hero. With Sam down for the count at the end of Avengers: Infinity War, this gives the perfect opening for Patriot to step up and help shoulder the heroes burden. And when, or if, Sam returns, the Patriot would make the perfect sidekick for Sam to help hold into a better hero. 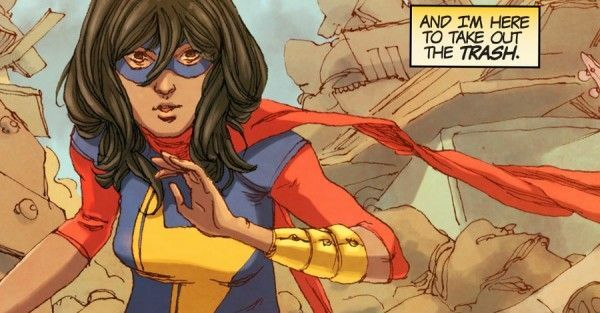 Kamala Kahn, or Ms. Marvel, is one of the most popular Marvel characters to pop up in the last decade. She made her debut as a fan girl of Captain Marvel’s before being given her very own series. Less than five years later Ms. Marvel was making her tv debut in the animated series Avengers Assemble. Ms. Marvel is exactly what the MCU needs, both in terms of bring young new blood to the team, setting up for another female led movie, and adding a bit more diversity to the universe. It’s past time we see a young Muslim woman onscreen whose life and strength is guided, in part, by her faith. Based on the demigod of the same name from Greek mythology, Hercules first appeared in Thor before being given his own limited series. He’s battled Hydra, helped to foil Kang, and even battled the Black Order. The Marvel Cinematic Universe is no stranger to mythological backgrounds for their heroes, and with the future of Thor up in the air it may be time for a new hero to step into his shoes. The Marvel version of Hercules has all the powers of the mythical hero, which could make him a solid ally for Hulk or the remaining Asgardians. Richard Rider’s Nova was a member of the Nova Corps, an intergalactic police force patrolling the galaxy. He was the star of his own comic book and a member of The New Warriors team-up throughout the ‘90s. He first graced the screen in the Silver Surfer animated series and later made an appearance in The Super Hero Squad Show. 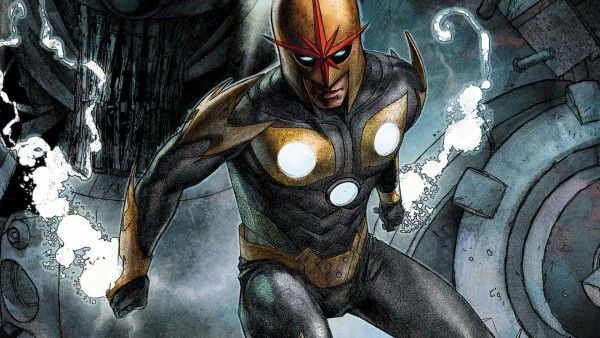 Nova gets his powers of flight, superhuman strength, speed, and durability from the Nova Force, which is accessible to all members of the Nova Corp. As we’ve already seen the Nova Corp in Guardians of the Galaxy, it would be easy to introduce Nova as a member in an upcoming movie. 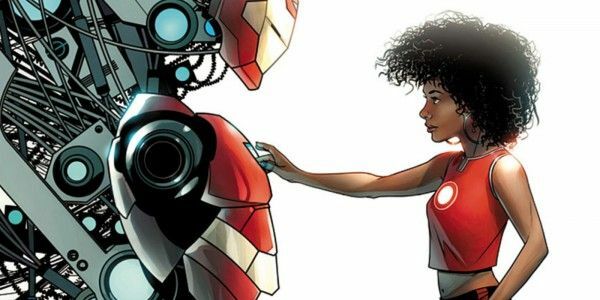 RiRi Williams first appeared in a run of the Invincible Iron Man as an engineering student who developed her own suit of Iron Man armor. With Tony’s endorsement, she becomes a fully fledged superhero going by the code name Ironheart. She’s due to make her small screen debut this year in Marvel Rising: Heart of Iron. The MCU has always had someone fighting in a suit of Iron Man armor and while War Machine is likely to stick around for a while longer it doesn’t seem like enough. RiRi as Ironheart be a welcome addition to pal around with uber geniuses Shuri and Peter and help keep New York safe.